On Wednesday night we had the inaugural dinner for the DePauw University campus farm. This has been a dream for some years of people here at the university who care about environmental sustainability: to have a place where we could grow food for the campus community in an environmentally responsible way. Now the farm is a reality, awaiting the planting of its first crops once the fields dry out from the torrential rains we've had this spring. As we gathered, soft bluegrass music was played by two local musicians. The director of the Center for Spiritual Life offered a blessing: we all stood and faced our farm and offered up our hopes for its fruitfulness. And then we ate. And ate. And ate. So I joined with beloved students, colleagues, and friends to bless the seeds we would be sowing, and to bless all small steps that anybody takes to make our fragile world a better place. 1. Drove to Richmond, Indiana, for a school visit, traveling on Route 40, the National Road; construction on the road (which extends from Maryland to Missouri) began in 1811. 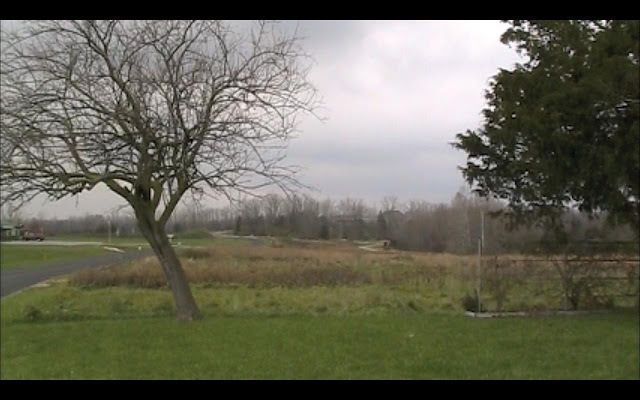 I was able to drive for a short distance on the Old National Road, a one-lane rutted affair passing through farmlands ready for the spring planting. 2. 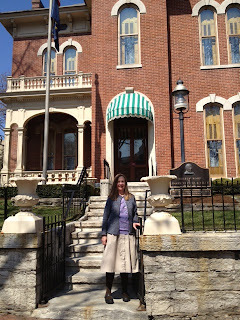 Stopped at the James Whitcomb Riley birthday in Greenfield, Indiana, where Little Orphant Allie (who became Little Orphant Annie in the poem) came to work, sharing her stories with the young poet about the "gobble-uns" that would "git you ef you don't watch out!" 3. Visited the Two Sisters independent bookstore in Richmond, which has this recreation of Harry Potter's cupboard room under the stairs (my friend Alisa's daughter is the child perched on Harry's bed). 4. Attended a community theater production in Richmond of a play version of the wonderful children's novella The Hundred Dresses by Eleanor Estes. I've written a scholarly paper on the book so had to see the stage version to observe how they fleshed out the story to fill a 75-minute production. 5. Toured the Lew Wallace studio/office in Crawfordsville where the Civil War general wrote the best-selling novel of the 19th century, Ben Hur (actually, he wrote much of it while he was governor of the New Mexico territory, quite an inspirational feat of writing productivity). 6. Spent a weekend in Chicago on a girlfriend getaway with my friend Robin, seeing Frank Lloyd Wright's home/studio and Ernest Hemingway's birthplace in Oak Park (which Hemingway described as a town of "broad lawns and narrow minds") - this was not strictly speaking an Indiana pleasure, but "get to know Chicago" was on my list of things to do during my two years in Indiana, and now I know Chicago and this one lovely suburb much better than I did before. 7. Lay on the floor in the dark last night, with pillows and blankets, on the stage in Kresge Auditorium here at DePauw listening to a Bach piano/cello sonata in a remarkable "Lie Down and Listen" program organized by my colleague Erik Edberg - certainly a pleasure that has never been offered to me anywhere else! I had the opportunity earlier this week to speak at a once-a-month lunchtime program, co-sponsored by the DePauw University Library and the Putnam County Public Library, called "Books That Made a Difference." I shared the hour with P.T. Wilson, pastor of Gobin United Methodist Church, where I worship here in Greencastle (P.T. also serves as the university chaplain). Our charge: to talk about a book that had made a difference in our lives, and why. P.T. chose Stranger in a Strange Land, by Robert Heinlein. 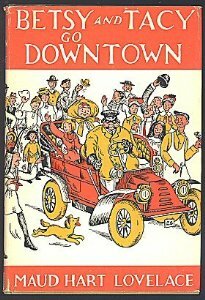 I chose Betsy and Tacy Go Downtown by Maud Hard Lovelace. I knew I would choose a children's book, because no books I've read as an adult have touched me as deeply and lastingly as the books I read as a child. Interestingly, P.T. first read Heinlein when he was ten. So we both chose to share a book we had loved in our childhood. The difference between the two of us is that he was reading a grown-up book when he was a child, and as as a grown-up I'm still reading (and writing) books for children. 1) It is the story of a girl's beginning to grow into her future career as an author. In the book, Betsy's parents come up with the idea of sending her on weekend excursions to Deep Valley's brand-new Carnegie library so she can read "the classics" rather than simply borrowing the hired girl's dime novels: "Betsy," her mother tells her, "it's a mistake for you to read that stuff. There's no great harm in it, but if you're going to be a writer you need to read good books. They train you to write, build up your mind." The best chapter in this wonderful book is Betsy's first outing downtown to the library, complete with lunch out on her own. Her father says, "Don't hurry home. Stay for a while. Browse around among the books. Every time you go you can take fifteen cents. At noon go over to Bierbauer's Bakery for a sandwich and milk and ice cream. Would you like that?" Oh, who wouldn't! By the end of the book Betsy has submitted her first story for rejection by the Ladies Home Journal and published her first poem in the local newspaper. She is on her way as a writer. 2) The book shows how creativity can be fostered within a loving, supportive community. While so many stories show the young artist as isolated and alienated, Betsy and Tacy Go Downtown allows Betsy to develop her talents with the support of loving parents and friends. Throughout the series, all the characters have their dreams and goals affirmed, whether it's Betsy's writing, Julia's singing, or Carney and Bonnie's homemaking. 3) The book, and the entire series, is suffused with kindness. The problems the characters face are small; the conflicts for the most part easily resolved; the books are filled with love and laughter. So Lovelace modeled for me as a future writer the possibility of creating lasting books built around a positive vision of humanity. In his remarks about Stranger in a Strange Land, P.T. commented that he loves that he's read the book seven or eight times and each time finds something different. I replied that I love that I've read Betsy and Tacy Go Downtown dozens of times and each time it's the same. Whatever else is happening my my life, or my world, I can enter the space of this book where characters pursue their dreams with the caring support of those who love them. There is no place on earth that I would rather be. Done! - So now what? Yesterday was the grand finale of the second of the two symposiums I was in charge of this past week at the Prindle Institute for Ethics: 1) "Cool Talk about a Hot Topic: The Ethics of Communicating about Climate Change"; and 2) our 6th annual Undergraduate Ethics Symposium. Both went extremely well, I'd say, all things considered. More important, both are now DONE. I was reminded of a favorite line uttered during finals weeks at Wellesley: "All's well that ends." For weeks I've been (foolishly) putting the rest of my life on hold to prioritize fretting and moaning and yearning for the meadowlike expanse of time that was to open up in front of me when both symposiums were over and done with. "Oh, how lovely it will be to do all that work I've been postponing!" I'd tell myself. "Oh, how glad I'll be to able to throw myself back into writing again." So now it's time for me actually to do the things I've been telling myself that I'm yearning to do. And of course, there was some real danger that I wouldn't come through. The existentialist philosopher Jean-Paul Sartre reminds us that however eagerly we make some future appointment with ourselves, there is always a real chance that we won't show up. I knew that today was crucial. And I knew that I didn't want to spend today doing small postponed LTs (Loathsome Tasks), much as they need to be done. Today was the day to get up, make myself some hot chocolate, and write. And I did. It was wonderful. I read over eighty pages of my novel in progress and fell in love with my story again. This is my valentine-to-Indiana book, set right here in a town loosely based on Greencastle. It's different enough from my other books that I'm not sure any publisher is going to want to publish it, but I know that I want and need to write it. Ten minutes ago I finished writing two new pages. My plan is to have a draft of the novel done by the time I leave Indiana in June. That is goal number one for the next two months. Goal number two is just to love Indiana as much and as hard as I can. So, Jean-Paul Sartre, today I DID show up for my appointment with myself. And how grateful I am that I did. I'm spending my entire week consumed with thinking about global climate change as I help to host our Prindle Institute symposium, "Cool Talk about a Hot Topic: The Ethics of Communicating about Climate Change." Of course, this is an enormously depressing way to spend a week, as global climate change is, in the view of all of our speakers, by far the most urgent environmental, economic, political, and social problem ever faced (and caused) by humankind. As readers of this blog know, I prefer to occupy myself with happy thoughts about beloved children's books, covered bridges in rural Indiana, hot chocolate at the Blue Door Cafe, and other favorite things. But I remain a citizen of this country and denizen of this planet, and so occasionally I have to leave what one friend calls my "Betsy-Tacy bubble" (referring to my obsessive fandom for this series of children's books by Maud Hart Lovelace) and engage with the crucial issues of our world at this time. The opening keynote yesterday was a stunning talk by Anthony Leiserowitz, director of the Yale Project on Climate Change Communication. In the Q & A period, he was entertaining a question about action that individuals can take to reduce their carbon impact (although individual actions at best can amount to only about 10 percent of the reductions needed; still, 10 percent is not a negligible reduction). He said that researchers are investigating the question of whether individuals who take some small step toward living a more sustainable life tend to say something like, "Look at me! I changed all my light bulbs to compact fluorescent light bulbs, so now I've done my bit to stall global warming!" or if instead they say, "Changing my light bulbs wasn't so hard! So now I can start biking on short errands rather than driving! And I can start drying my clothes on a clothes line!" He said that the empirical evidence favors the latter. The important thing is just to get started. Then one small step can lead to another. Of course, as the author of a blog called "An Hour a Day," I was delighted to hear this and to be vindicated in my general life approach that one small step, one hour spent writing, one page written, can lead to another, and another, and another. I thought about all the changes I want to make in my life - related to work productivity, financial security, enhanced physical health and emotional well-being - and how the most important thing I can do on all fronts is just to take that one first step. So leaving my Betsy-Tacy bubble for a while yesterday provided me with inspiration to start changing out those light bulbs, writing to my congressional representatives, and marching on Washington the next time that the opportunity presents itself - as well as lovely confirmation of my core time management principle. This is my stressful week where I'm in charge of not one, but two, symposiums sponsored by the Prindle Institute for Ethics. The first is on the ethics of how we communicate about climate change: six prominent speakers - two philosophers, a sociologist, a geo-scientist, a political scientist, and the director of Yale's Project on Climate Change Communication - are coming to campus to talk about how we should talk about this most urgent environmental issue of our time, or arguably of any time in human history. The second is our sixth annual Undergraduate Ethics Symposium, which brings talented, highly motivated undergraduate students from around the country (as well as some of DePauw's own best and brightest) to the Prindle Institute to share their analytic and creative works about ethics. Both events are almost guaranteed to go extremely well: an interdisciplinary committee that I put together worked for almost a year on the climate change event, and the Undergraduate Ethics Symposium (which I've attended for the last four years) is always wonderful. Nonetheless, it's hard for me to do anything else this week except pace and fret and gnaw at my fingernails. Pacing, fretting, and fingernail-gnawing are not productive or pleasant activities. I think it may be too much for me to expect my week to be filled with productive activities (above and beyond the productive activities associated with both symposiums), so I'm going to try to fill any free hours with pleasant ones. I crammed my weekend full of enormous quantities of sister fun: opening day of the Bloomington Farmers Market; daffodils in bloom at the House of the Singing Winds (the home and studio of Hoosier Impressionist artist T. C. Steele); lunch in the cute touristy town of Nashville, Indiana; a bus tour of Columbus, Indiana, dubbed the sixth most architecturally significant city in the United States (up there with New York, Chicago, San Francisco, Boston, and Washington, D.C.) for its policy of having all its public buildings designed by famous modernist architects; overnight at the gorgeous historic West Baden Springs resort (rightly dubbed "the Eighth Wonder of the World"); a stroll through Madison, Indiana, situated on the banks of the Ohio River, which Charles Kuralt called the most beautiful river town in America; and a quick glimpse of one somewhat trickly waterfall at Clifty Falls State Park. Yesterday I had the pleasures of seeing my Honor Scholar student here at DePauw complete the draft of her lovely honors thesis on academic integrity and of participating via phone in the doctoral dissertation defense of a terrific grad student at CU, whose dissertation offers a theory of just immigration policy. I had a long walk with my friend Nicki and her little dog, Henry. And then supper last night? Why, a hot fudge sundae with black raspberry ice cream at Dairy Castle, of course. So instead of pacing, a lovely April walk past daffodils and tulips in bloom. Instead of fretting, stimulating philosophical conversation about academic integrity and immigration. Instead of fingernail-gnawing, licking the last bit of hot fudge sauce off my spoon. Sounds good to me. My sister and I have both been working hard all week: she's been preparing a major tax return for Eli Lilly; I've been preparing a major symposium on climate change for DePauw. But yesterday at noon we launched our weekend of sister fun. My goal for our weekend is to visit as many of the sights on my must-see-before-I-leave-Indiana list as possible. First up yesterday: the City Market, with its thronged customers lined up at booths and stalls offering every kind of cuisine that you can't get in Greencastle (plus those that you can). We wandered about, listening to the piano music played by a real human being piano player, and finally settled on mid-eastern, followed by gelato, eating each course at a different small table next to a window in the upstairs section of the market. Next: walking to the James Whitcomb Riley home, where the beloved Hoosier poet ("Little Orphant Annie," "The Raggedy Man") lived for 23 years as the permanent house guest of its owners. Riley, almost forgotten today, was enormously popular in his time, earning over three million dollars from his verse, out-billing Mark Twain on speaking tours, and attracting 35,000 mourners after his death to view his coffin honored in the rotunda of the state capitol. The house, situated in the charming neighborhood of Lockerbie Square, has been open as a museum to Riley since the 1920s and so is not a restoration but a preservation: all furniture, books, and other artifacts in the home are entirely original. 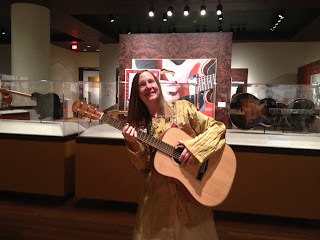 Yesterday, as I explored Indy's treats with my sister (below I'm posting the silly pictures the two of us took of each other in costume pretending to play guitars at the Eiteljorg Museum's history-of-the-guitar exhibit), it was sunny all day. But if God or Zeus had sorted out the weather and sent rain, that would have been my choice, too. Today I host the Next Big Thing blog campaign. The Next Big Thing is an awareness blog campaign that began in Australia and became international. 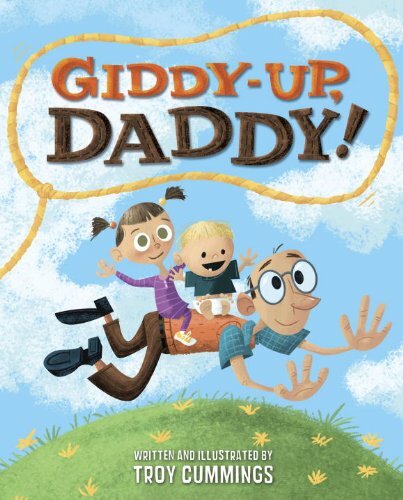 It features authors and illustrators of books for kids and young adults and their recently published books and/or those that are slated to be released this year. The way it works is each author nominated then turns around and nominates a couple of other authors, who are all given the same questions to answer about their work. So it's a great big game of "Tag, you're it." So today I'm responding to The Next Big Thing's standard questions about my forthcoming book, Zero Tolerance, and I'm tagging two of my favorite fellow kids' book authors, Denise Vega and Troy Cummings, to go next. 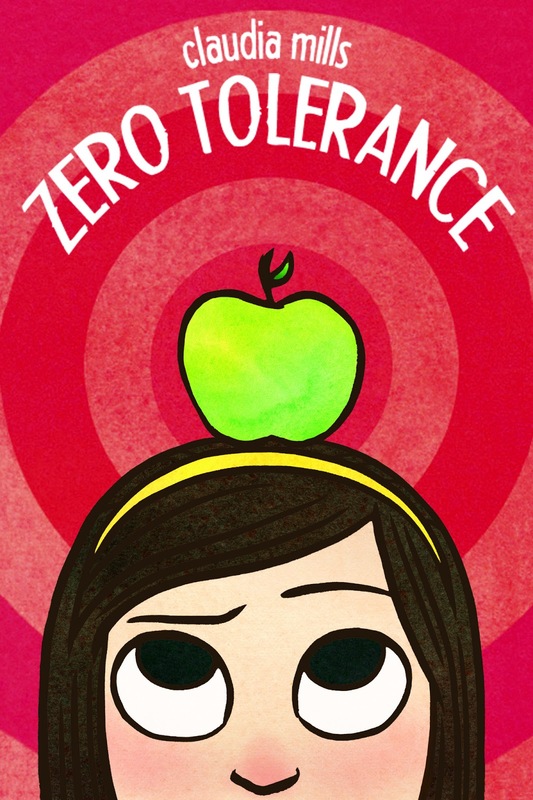 It’s being published under the title Zero Tolerance, but it’s had different titles along the way. My working title as I began writing was the cumbersome (and suspense-spoiling) title: Honor Student Expelled: Details at Ten! Another title I used along the way, which I still like, is No Exceptions. This is the only time I ever got a book idea from a news item rather than from personal experience (drawing from my own childhood memories or the tribulations of my sons and their friends as they were growing up). A middle school near Boulder, Colorado, where I have my permanent residence, had a high-profile expulsion case a few years ago, when an honor student inadvertently brought the wrong lunch (containing a paring knife) to school by mistake and found herself facing expulsion under the school’s zero-tolerance policies for weapons. Oh, I am so out of touch with movies! I hardly ever watch any. So I’d have to go back to movie stars of the past. Maybe I’d pick the young Natalie Wood (Susan in Miracle on Thirty-Fourth Street) to play Sierra. Actually, Susan’s self-certainty and moral earnestness in that film would reflect Sierra effectively before her growth in the course of the story (though of course Susan is younger than Sierra). This is my longest book – 230 pages, with almost 50 pages cut from the manuscript in revision – so it took me several months working on my hour-a-day, page-a-day system. 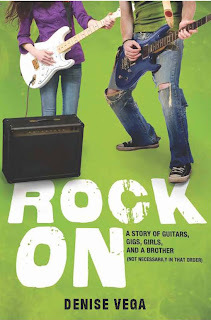 This is also the only one of my books that I wrote without knowing how the story was going to end. I wrote every day to find out what was going to happen, and that made me write faster, as I was dying to see how it would all come out. One of my earlier books for middle-grade readers, Standing Up to Mr. O, also features a seventh-grade girl who is confident about the parameters of her moral universe, only to find her certainties shaken. In that book, Maggie McIntosh faces life-changing disillusionment when the teacher she idolizes refuses to support her conscientious refusal to dissect animals in her biology class. Because of my day job as a philosophy professor specializing in ethics, I’m always on the lookout for subjects that are morally rich, inviting opportunity for ethical reflection on the part of the reader. While I don’t think it’s difficult to make an ethical case against rigid zero-tolerance policies, more nuanced ethical questions arise about how we respond to intolerant policies without becoming intolerant ourselves. I had the pleasure of sharing the book, pre-publication, with a class of gifted and talented fifth graders in Greencastle, Indiana, where I am living this year, and I was pleased that they reported that the ending surprised them: “We didn’t see it coming.” Yay! My sister is here in Indy for a week, on Lilly business. We have plans for vast quantities of sister fun this weekend, but I was hoping for some mid-week fun together, too. "Wouldn't it be pleasant to have dinner with Cheryl on Tuesday night? 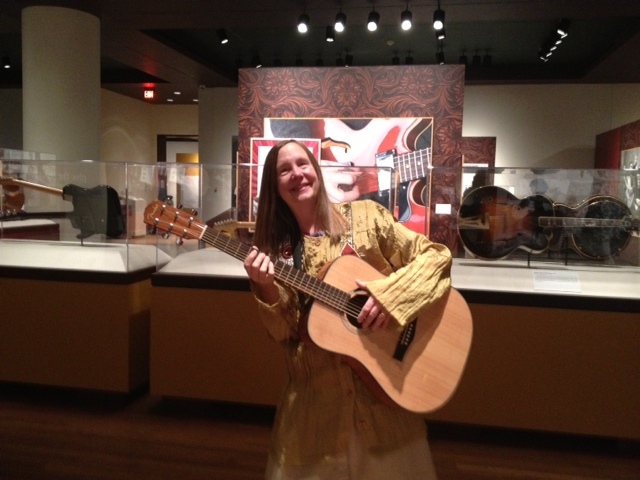 "I told my friend Keith the other evening as we sat together by the Prindle Institute fireplace after a stimulating session of the reading group on Elaine Scarry's book On Beauty and Being Just. Then I gave a sigh and said,"But it's such a long ride there and back, an hour each way, and I do hate driving in the dark." "Why don't you spend the night with her at her hotel?" Keith asked. I thought about that possibility. "Well, that would be tons of fun," I replied, "but then I'd have to drive back to Greencastle the next morning in time to get ready to head off to work." I tried to remember what I had to get done on Wednesday morning. "On Wednesday I need to . . . on Wednesday I'm planning to . 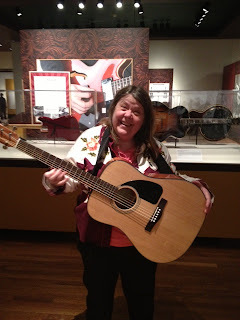 . ."
Suddenly I remembered: On Wednesday I was going to do an author visit at a school right in Indy! At a school over an hour away from Greencastle, but just minutes away from my sister's downtown hotel! Thus was launched my delicious plan. I drove to Indianapolis last night after a lovely late-afternoon walk with my friend Nicki and her little dog, Henry, in search of any last lingering crocuses (and we did find a few). I collected Cheryl at her hotel and whisked her off to Mass Ave for dinner at Bru Burger. I wasn't able to make the parking meter work, apparently, because I got a parking ticket, but luckily it blew away and so all I got was the empty ticket envelope, and they can hardly expect me to pay not a ticket, but an empty ticket envelope, right? After dinner, we had a cozy evening in her room at the Westin, with sister giggles galore. The bed was extremely comfortable. The shower this morning had a lovely standing-outside-in-a-summer-rainfall effect. We breakfasted together at the hotel buffet. 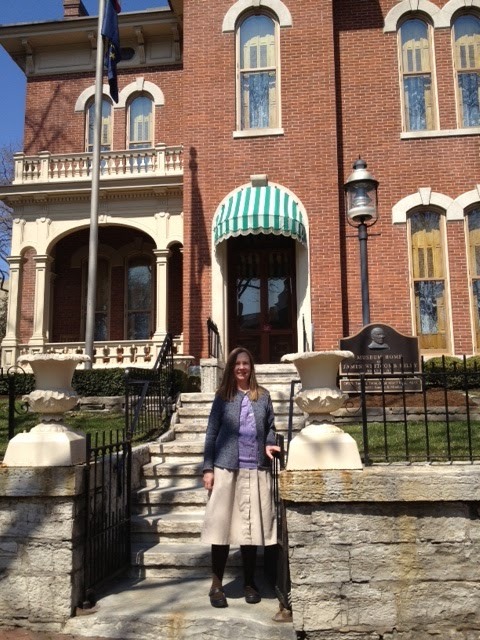 Then I drove Cheryl to Lilly and headed north to the school, Immaculate Heart of Mary, just off posh North Meridian Street with its gorgeous, stately old homes. The students I spoke to, in grades K-3, were delightful: so bright and sweet and eager to participate. I sold a heap of books provided by the Kids Ink independent children's bookstore nearby. On my way home, I stopped in the bookstore, then stopped in the cupcake store next door (yum! ), and even found a branch of Chase Bank to deposit my check for the day (there is no Chase branch in Greencastle, so I save up my checks until I go to Bloomington, an hour away, or to the airport, which has Chase ATMs everywhere). I got back to Greencastle in time to attend a Prindle advisory committee meeting, followed by a bioethics bowl team practice, followed by the next-to-last class of the quarter-credit course on climate change that I'm co-teaching in conjunction with the symposium that is taking place on campus next week. So the moon was in the seventh house, and Jupiter aligned with Mars, and my day could hardly have turned out to be more lovely. April tends to be the most stressful month of the year for people with academic positions, I think. Faculty and students start the spring semester already drained from the fall semester, and by April, we're facing end-of-the spring-semester madness, with so many events crammed into the calendar before we head toward finals in May. So in my trusty little notebook I usually make myself an extra-intense to-do list for this cruelest month. This year I have an extra-cruel first half of April. I'm the person in charge of a major symposium the Prindle Institute is hosting on the ethics of communicating about climate change, with six prominent speakers coming to campus for three days of talks (Tuesday, April 9, to Thursday, April 11), two talks a day (one at 4:15 and one at 7) and other surrounding events (lunches, dinners, classes for the speakers to attend). And then the closing keynote for the climate change symposium is doubling as the opening keynote of our annual Undergraduate Ethics Symposium, which brings talented undergraduates from around the country (including some wonderful DePauw students as well) for a weekend of conversation about a wide range of ethical issues. I'm in charge of this symposium, too. After that, the rest of my life will be easy. But until then, I'm feeling, shall we say, a wee bit overwhelmed. It isn't so much that I have heaps to do in preparation for both events, but that I have heaps to worry about. Will all the speakers get here? Will their talks be good? Will their talks be well attended? Will everybody on campus be thrilled with both events or will they have occasion to find fault with anything, and by extension, find fault with me? Enough! Both events were planned over a period of many months with the input of a team of faculty from many different departments on campus. Both events will be organized with the assistance of Prindle's absolutely fabulous conference-planning team. It will all be okay. And if anything isn't okay? Well, that is okay, too. So on my to-do list for the next two weeks, the main item is to engage in every stress-avoidance technique I know. Exercise. Don't overeat. Take care of niggling Loathsome Tasks (LTs) right away rather than letting dread fester. Get plenty of sleep. Make time for fun: luckily my sister will be spending the weekend with me, and I have all kinds of Indiana outings planned. Take deep breaths. And hold onto the thought of how great the rest of my post-mid-April life is going to be.